At the Wilderness Camp, campers live in wooded campsites consisting of ten tent-like structures. Each tent in a campsite serves a specific purpose – one tent is for cooking, another for dining, and others for sleeping. Well-groomed trails connect all campsite structures, giving it the appearance of a small village. 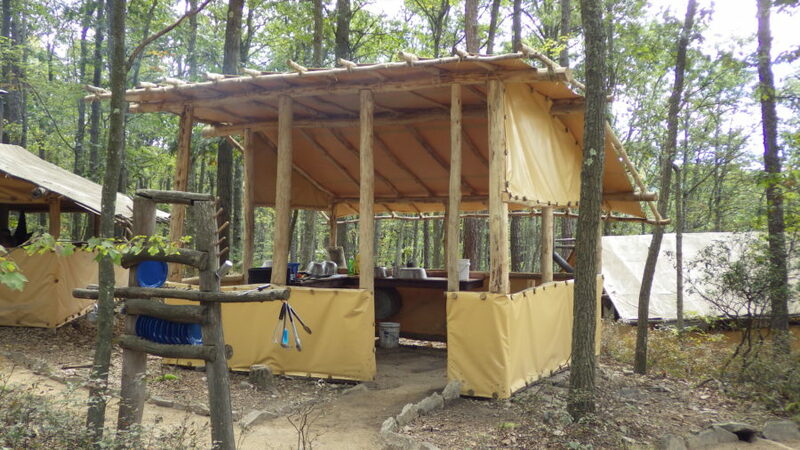 The tents are built with a pole frame, a vinyl tarp roof, insulated walls, a plywood floor, and a wood stove for heating. Campers participate in all stages of wilderness campsite construction including tent design, construction, and trail maintenance. A group’s normal day includes activities such as routine cleaning chores, cutting firewood for cooking and heating, playing group games, and campfire cooking. The group does the work required to provide the basic needs of food, clothing, and shelter in the Wilderness Camp setting. Every camper learns to make his bed, fold his clothing, and keep his living space clean and orderly. Campsite cleaning chores are part of the daily Wilderness Camping schedule. Good hygiene is emphasized in daily bathing and regular teeth brushing. Campers participate in planning and cooking campfire meals twice a week. Every day ends with a group discussion called a “pow-wow” in which the entire group gathers around a campfire and reflects on the events of the day. 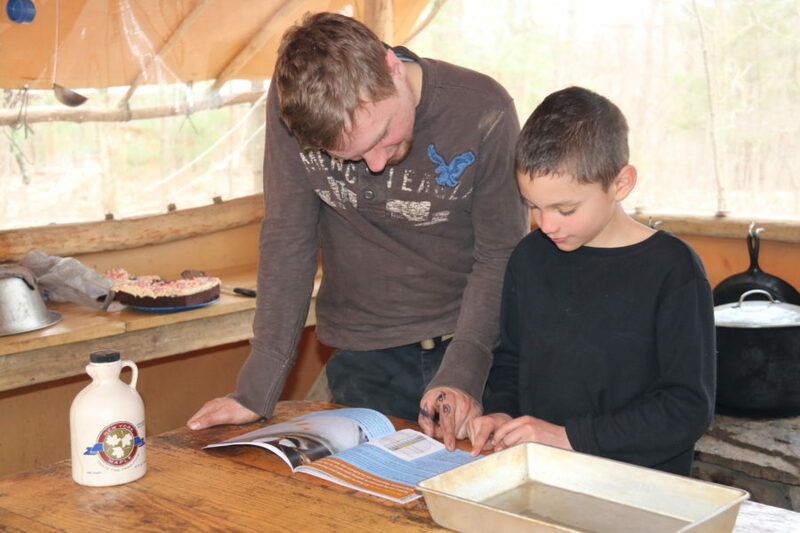 The daily Wilderness Camping routines are designed to teach not only camping skills, but also essential life skills such as planning, teamwork and personal responsibility. Several time a year, groups participate in wilderness trips geared toward developing camping skills, building group teamwork, or learning about some academic theme. These trips include canoeing, back-packing, or road tours. The duration of the Wilderness Trip may be from one day to three weeks, depending on the purpose of the trip and the ability of the group to carry out the trip responsibility. 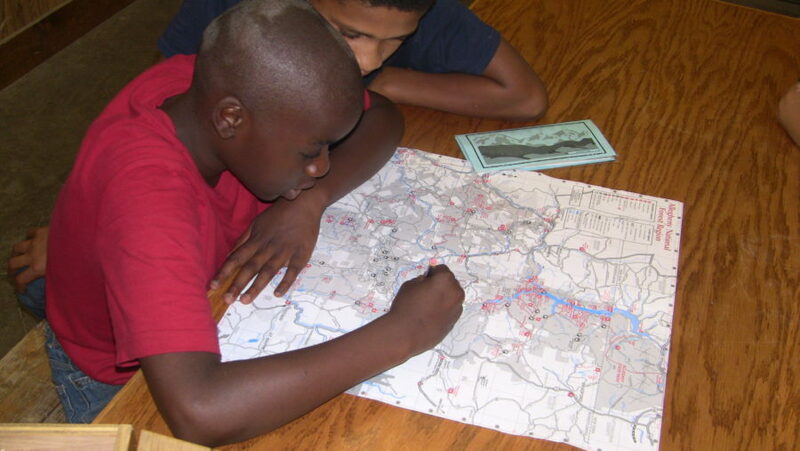 The entire group is involved in the planning and preparing process – setting goals for the trip, mapping the route, planning meals, calculating expenses, and researching local and natural history. 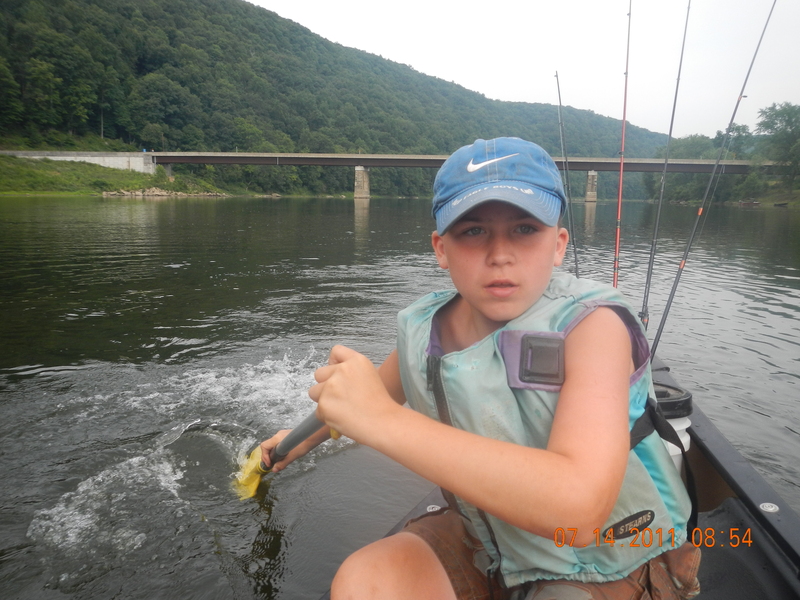 These trips provide unique opportunities for campers to learn about new skills, new places, and new people. 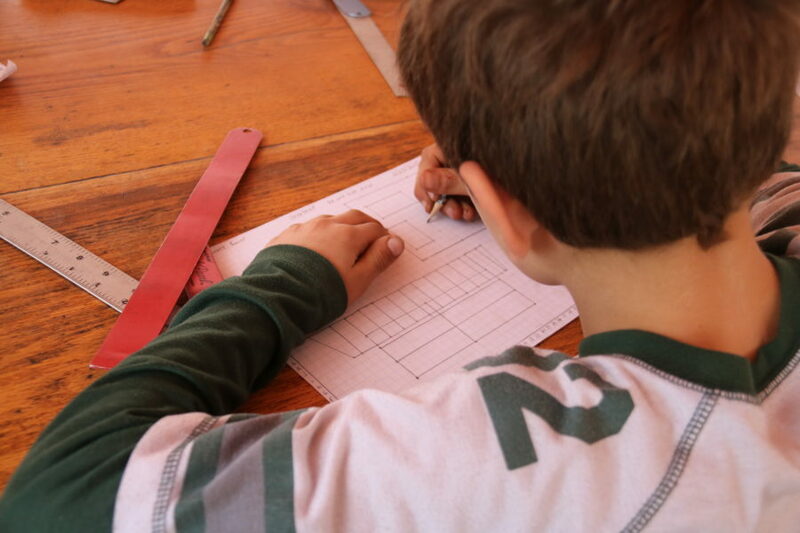 In addition, they provide an ideal setting for a boy to make personal progress on his problems.